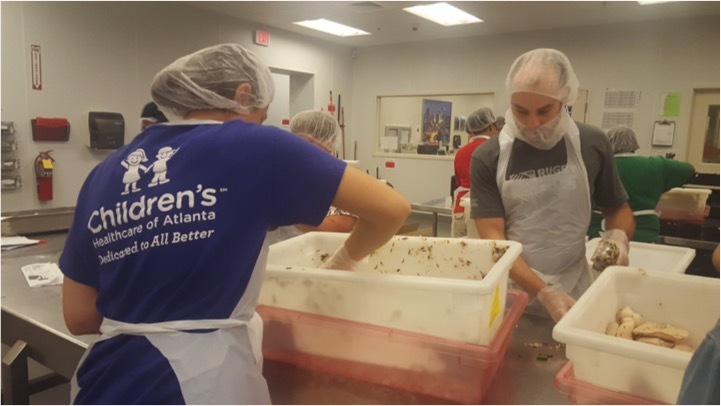 Sigma Theta Vice President Zach Conrad, Treasurer Sonny No and member Tye Lockett scooped tuna salad and packed meals at Open Hand’s service center with a group of volunteers from Children’s Healthcare of Atlanta. From rigorous study come academic achievement, honors…and tuna salad. That’s what members of the Georgia Sigma Theta chapter of the Lambda Nu Medical Imaging Honor Society, all Emory Medical Imaging BMSc students, discovered during a day of service at Open Hand. 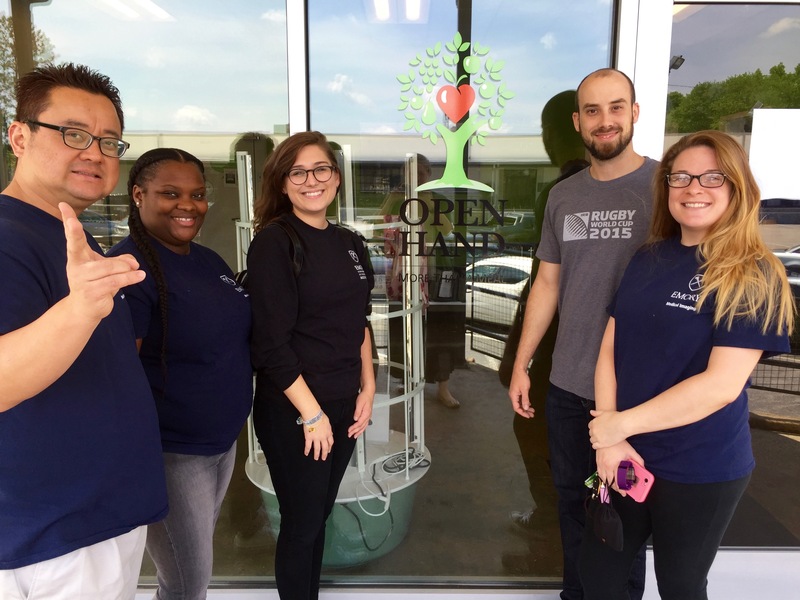 Open Hand is the primary provider of medically-appropriate meals and nutrition education for people in metro Atlanta living with HIV/AIDS and other chronic diseases. 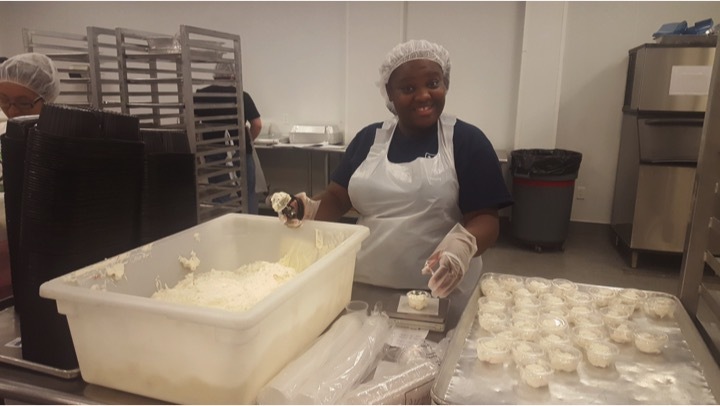 From nine in the morning until noon on Tuesday, May 31st, Sigma Theta Vice President Zach Conrad, Treasurer Sonny No and member Tye Lockett scooped tuna salad and packed meals at Open Hand’s service center with a group of volunteers from Children’s Healthcare of Atlanta. Sigma Nu President Sara Bruey and Secretary Ashley Clanton washed and sliced over 250 pounds of zucchini and summer squash in Open Hand’s prep kitchen. 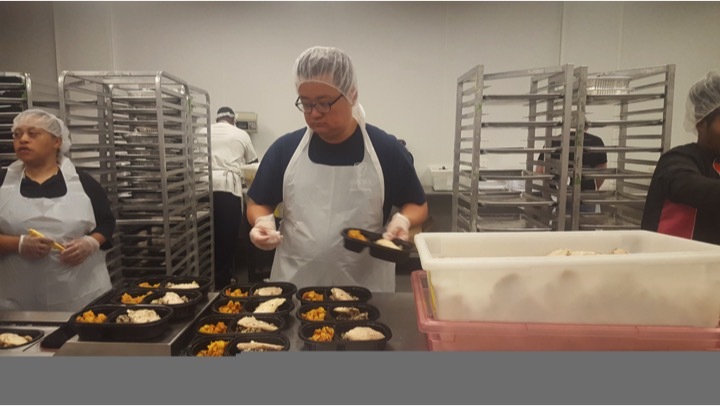 That day, these volunteers and Open Hand’s staff packed 2,705 healthy meals to be sent out for delivery to Open Hand clients. 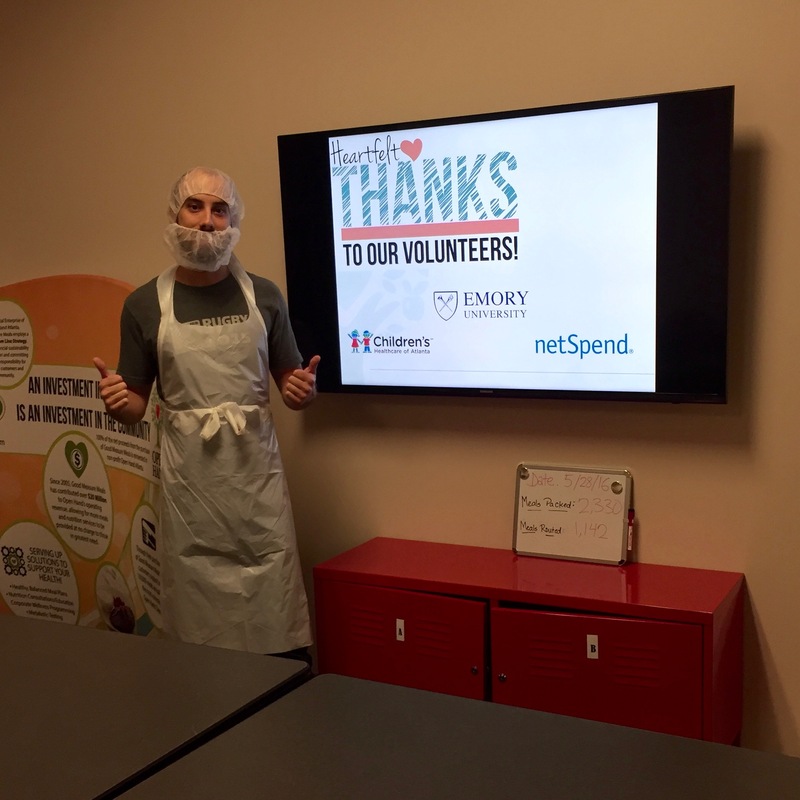 As members of the Medical Imaging honor society, the students must complete a minimum of one service project per year but most classes, including this Class of 2017, undertake one service project a semester for three projects a year. This is the second project at Open Hand this year, and previous classes also have served at Open Hand. The Class of 2017 plans to complete another service project this summer and is hard at work identifying new opportunities. To learn more about Open Hand, visit www.projectopenhand.org.